Lake Rathetear separates the Mountains of Rathe from the Southern Plains of Karana. as well as established camps of orcs, gnolls, aviaks, and ogres. 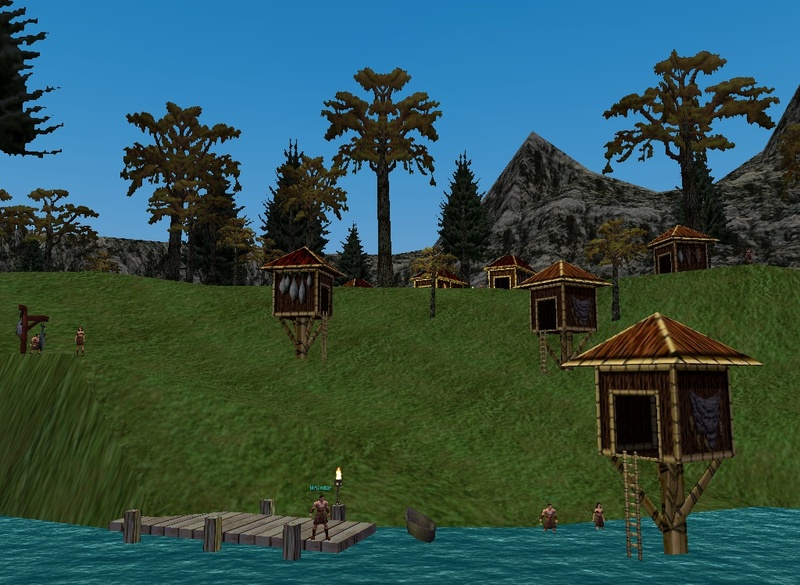 In the depths of Lake Rathetear you will find some of the more dangerous inhabitants. Among them, the dark elf, Deep, and Lord Bergurgle of the aqua goblins. Vortix spawns in Lake Rathetear when a monk at the right step in Monk Epic 1.5 asks a fallen student : "Are you Vortix ?" The fallen student then despawns and Vortix spawns instead. He can later be found in the Plane of Tranquility. I have been camping Lake Rathetear at the underwater tower for a WEEK now. Over 42 hours total camp time (Several hours at a time mind you) camping the Corrupted Shaman for the Druid epic 1.0 -- You have to kill the place holders in the top of the tower to get a tainted aqua goblin to spawn, and when you kill the tainted a corrupted Shaman MAY.. or may not spawn. In all my camp time here at Lake Rathetear... after HUNDREDS of place holders, I haven't seen a SINGLE tainted.. let alone the corrupted shaman. Mind you, the fabled's are out until tomorrow.. so maybe that has something to do with it.. but as of now.. from myself, and all the druids I know.. prepare for dissapointment Druids. Spawn is BROKE. 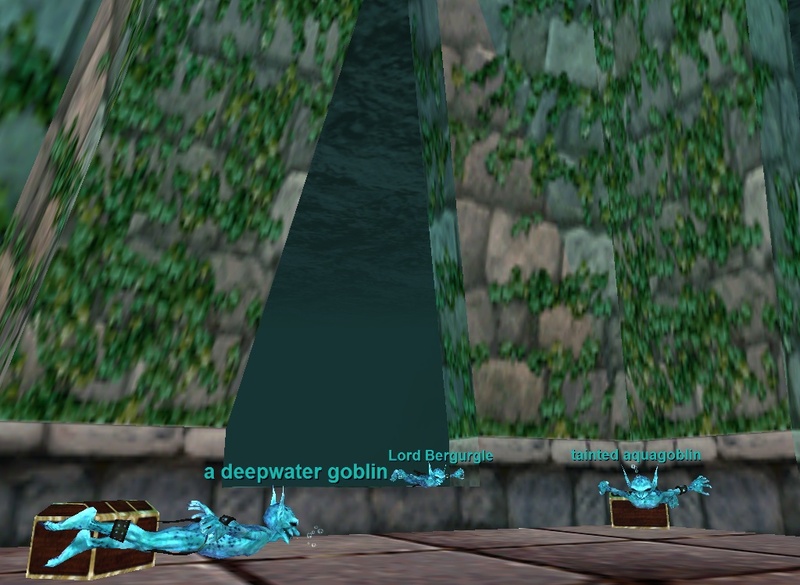 2 years later but here's your answer: the tainted spawns from the goblins at the base of the underwater tower. you may as well wipe them all out (save lord begurgle if he spawns). easily done solo for anyone over level 50 i imagine. even though it is no drop, it can be turned in to shemndrik and then to the others and finally to the prismatic priest. THe final result the bloodied plamatic preist robe IS droppable, although fairly expensive. 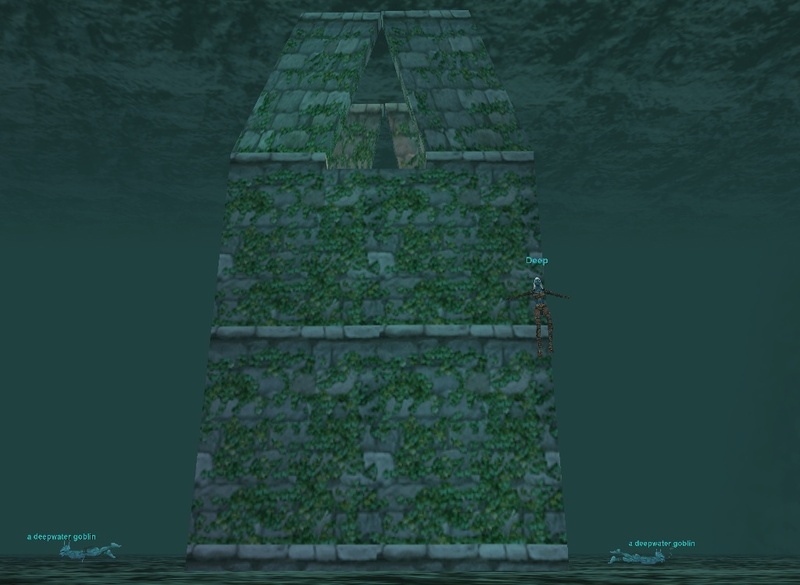 Yesterday I was swimming under Lake Rathe and came across a set of tunnels and having located the large cavern and the underwater tower I made some notes. Thanks for the time - good advice when I was 14 (go kill Gnoll Reavers in EK) has meant a quick progression through those teen levels - I hope this will get me to mid 20s as fast! 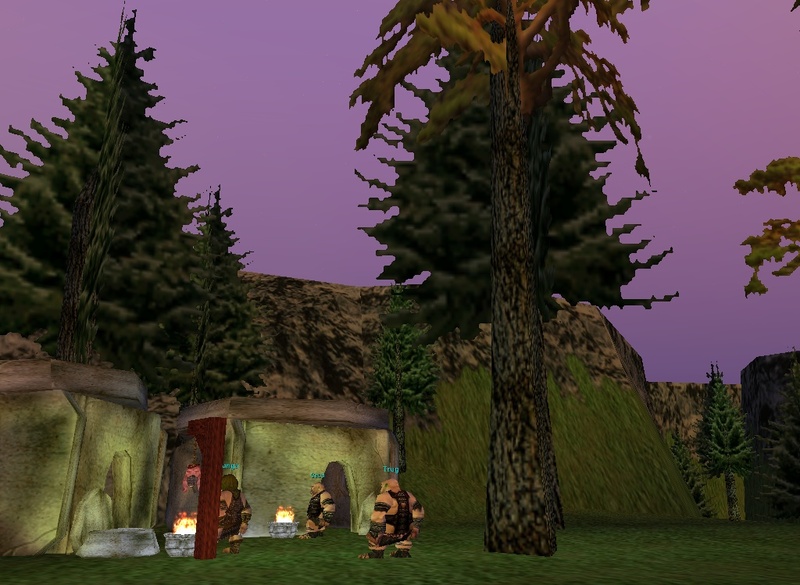 For whatever reason the Ogre camp is Indifferent to me. I am a half-elf ranger and I can shop at the merchant. I have done no Ogre faction work that I am aware of. I would advise caution as they are all red to me at level 30, but I suspect that they may be Indiff to everyone if they are indiff to me. IIRC they are for part of the Temple of Sol Ro Shaman Armor quests. AT the very least I know they are for Shaman armor quests, and therefore have to be indiff to all to accomidate the light race shamans. The underwater cave a couple of people have asked about contains one of the rods for the staff of the wheel wizard quest. is this a good place for a lvl 16 druid to get exp and loot? 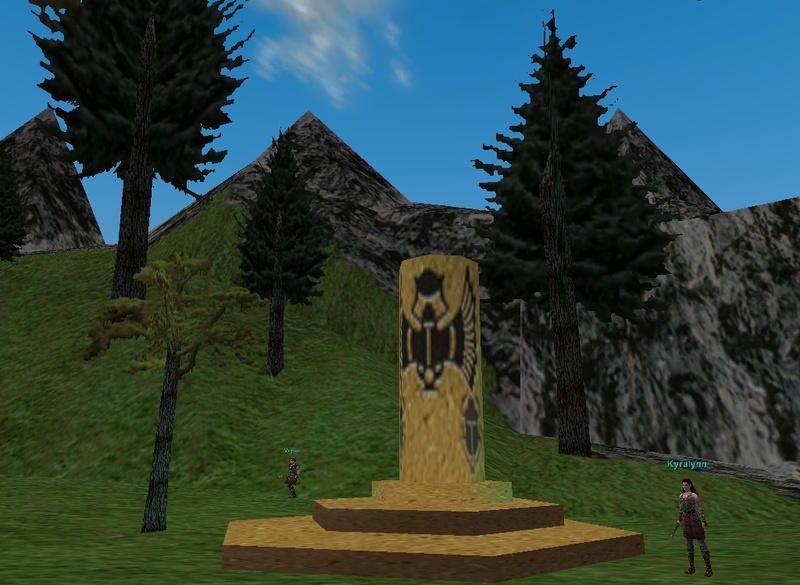 i was in lake rathe and met an npc named Kanthurn he told me about Rineval Talvas.An npc in qeynos i had wondered about since i started playing eq.He told me to tell her im in need of a scribe and to mention his name..I did this and she said i needed a tron book of fire and ice along with 1000 pp anyone know where to locate this torn book or have any info on this mattter? Awesome place for 15 - 25 lvls. Just don't pee in the water! You wouldn't have to hunt 100% of the time in water areas, but you COULD get from 8 to 55 in only watery areas and still be able to pick up great exp. and money (good money would be from wisps, gargoyles, and gornit). I didn't even list a lot of the other watery spots that are also good hunting. I think it would be a fun roleplaying challenge. Would anyone else try it? 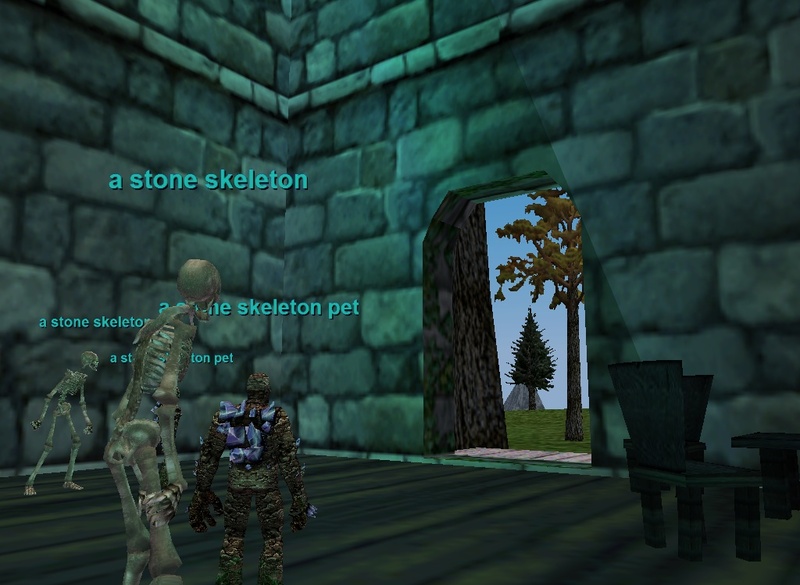 Former Everquest Addict that Hopes to Play Again. Has anyone else noticed that the Gnoll's in front of the SK zone have had there lvl increased recently? RE: Level of the Gnolls? Yes, it was in one of the patches a month or so ago. The good thing is that the Exp is MUCH better for a lvl20ish group and the loot is also MUCH better. A well rounded group in late teens or early twenties can do very well here. I am wondering if anyone knows if the NPC just outside the arena will agro on evil races if they are camping the Avo Gaurds. It's an awsome spot to hunt with the zone right there, and but with these new NPC's that popped up everywhere I think its even harder to be evil. The NPC, Misty I think her name is, outside the arena in Lake Rathke, doesn't aggro on me, a lvl 18 ogre shaman. 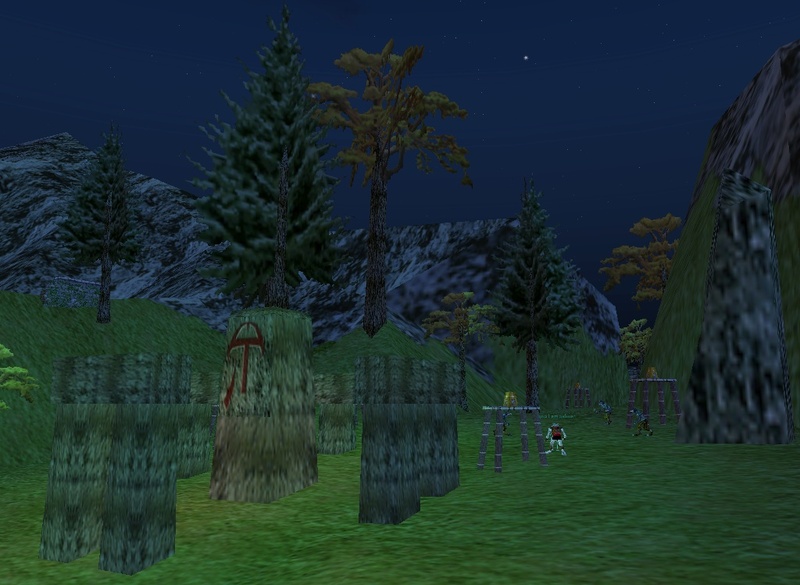 I've also seen Humans, Dark Elves, and Trolls pass this area to get bound, and she leaves everyone alone. Great Xp fer the aviak guards...and one in 5 drops a plat + in coin. Even bronze from time to time. I am a DE Necro and have camped the guards on several occasions. The NPC (Misty Techikta) does not aggro and even responds to a hail (albeit just by tapping her foot). So feel free to camp the arena - it's great exp. Um, no, killing the shammy's DOES NOT give you bad faction to Q guards, etc. Killing the named Gnoll, "Brother something-or-another", gives you the bad faction, so be careful what you post. Shammy's (high) are great to kill, cause they seem to drop snakeskin gloves more often than others, as wel as Skull of Jehn, nice little mana bonus item, sells usually for 15-30, depending on buyer, and the usual Runed Totem Staff. question about the 2 humans in plate (cant remember thier names) in front of a tower on the S side of the lake, they con green to me but hit for 90+ and im 23rd level... uh... wtf? Anyone have any info on why the barbs in LR are KoS to me, a shaman barb. All but the two totemic armor quest barbs that is. I am normally "amiable" to my fellow barbarians, but these ones are KoS I am wondering what the story behind this is. Any info or insight would be greatly appreciated. Thanks! Our group of three Dark elves needs a place to buy some more water and Food. 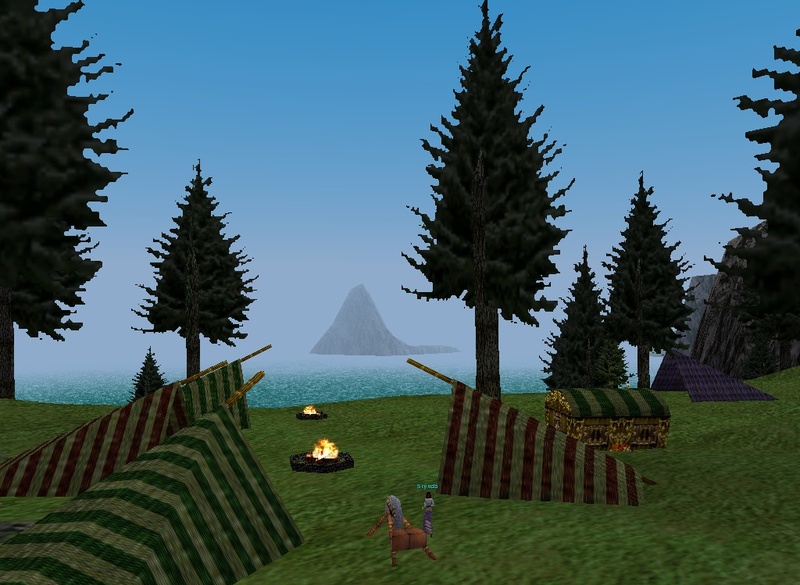 Will the gypsies sell to DEs or do we need to make our way around to the Ogre Camp? WE are ranged from 8-11 so leaving the zone is very difficult at best and probably impossible without help. We worked out this tactic last night and it worked great. I wandered into LR last night for my first time and this was the last camp I checked. A lvl 20 Wizzie had one of the guards and she said I could take the other. I was using my 19/Dru (almost 20). The wizzie was walking away from each battle with about 40 mana and 2 bulbs left of hp. I'd walk away each battle with Oom and 2 bulbs of HP left. Serious down time. So we decided to power level each other; sort of. We did not group, but after the other one pulled the guard, the other one simply sat there and cast root. That enabled the main caster to blast and nuke. Worked great and significantly reduced down time. I earned a bulb in 15 minutes! Yesterday, with a lvl 17 Wizard and a Lvl 19 Cleric (myself being lvl 17 ranger) we found easy to camp both the guards from arena, even the red. We also used your tactics, the Cleric and myself both tried to root (it often fails on red) and the wizzard nuked while we tanked. To save mana, he was only sending a few missiles to whites or yellows. It seems to me it is one of the best XP available for our level. However, it is camped most of the time for this reason. Are these riptides underwater KOS to everything I wanna go get one of my staffs there in the tower.